In the UK (and the EU), there are two main anti spam laws: the Data Protection Act UK and the Privacy & Electronic Communications Regulations (PECR). Let’s deal first with the PECR. This is an important piece of anti spam legislation for marketing by any electronic means, including email, text, phone and fax, because it determines whether your campaign is classified as spam. It is Illegal to send an unsolicited marketing message electronically to an individual unless their contact information was acquired in the course of a sale or negotiations for a sale. there must be an option to opt-out of future marketing when the data is first collected and on each occasion you send out a marketing message, and it must be a simple means to do so. So, subject to the above conditions, if someone has bought something from your business and you acquired, say, their email address in the process, then the laws state you CAN legally send them marketing emails. This is known as the "soft opt-in". If you haven’t complied with these conditions, then you’re breaking anti spam laws and are sending spam. What are 'Negotiations for a Sale'? This is a bit of a grey area in anti spam legislation. It can vary from one business to another, and could be a sales enquiry by email or phone. However, it’s unlikely an enquiry about your opening hours, for example, could be treated as negotiations for a sale. It may be better to ignore data acquired in this way. Not only could you accidentally break anti spam laws, but the goodwill of someone who didn't buy from you will be much lower than someone who has. Or better still, why not expressly ask if you can add the enquirer to your database? It's a neat way to comply with anti spam legislation and build customer relations. Remember to offer an incentive to increase the response rate. Importantly, the PECR also covers marketing to businesses. The laws allow you to send unsolicited marketing emails to 'corporate subscribers' - any PLC, limited company, limited liability partnership, public sector organisation, and - in Scotland - partnership. In fact, under these anti spam laws only a sole trader (and a partnership outwith Scotland) is treated the same as a private individual. So, if you send them unsolicited marketing emails you'll be breaking the anti spam act. Even if you comply with anti spam regulations, sending legitimate but uninvited marketing emails is not necessarily best practice. Approach with much caution! 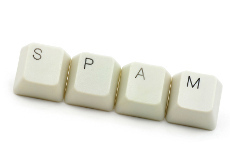 Interestingly, complying with anti spam laws has practical benefits for your database marketing. People want reassurance that their information is kept safe and confidential; they don’t like uninvited emails or texts; and they like to have the choice whether to keep receiving your marketing messages. All of which proves yet again that the best way to maximise database marketing is to incentivise people to join your database voluntarily, and keep them engaged with valuable content.